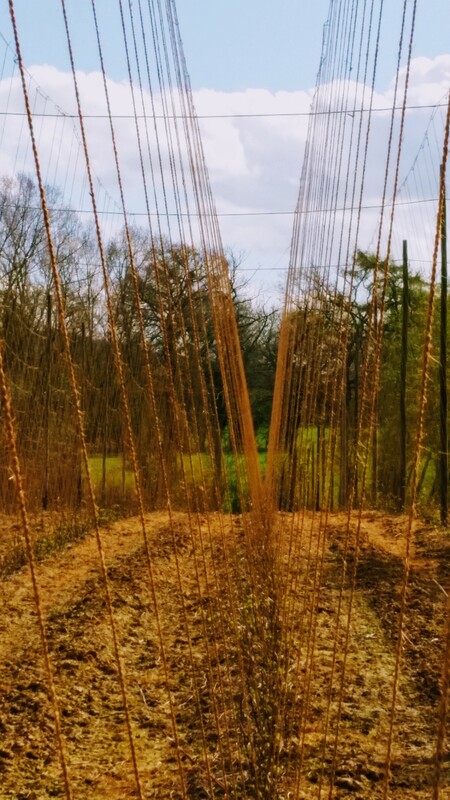 The “stringing” of tall hop yards is under way. For some farmers they use the winter to complete the job slowly. Here on the farm we wait till March. 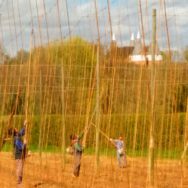 Natural Coir string is used to create the framework for the hops to climb, supported by the permanent structure of the poles and wirework. The stringing is done completely by hand! 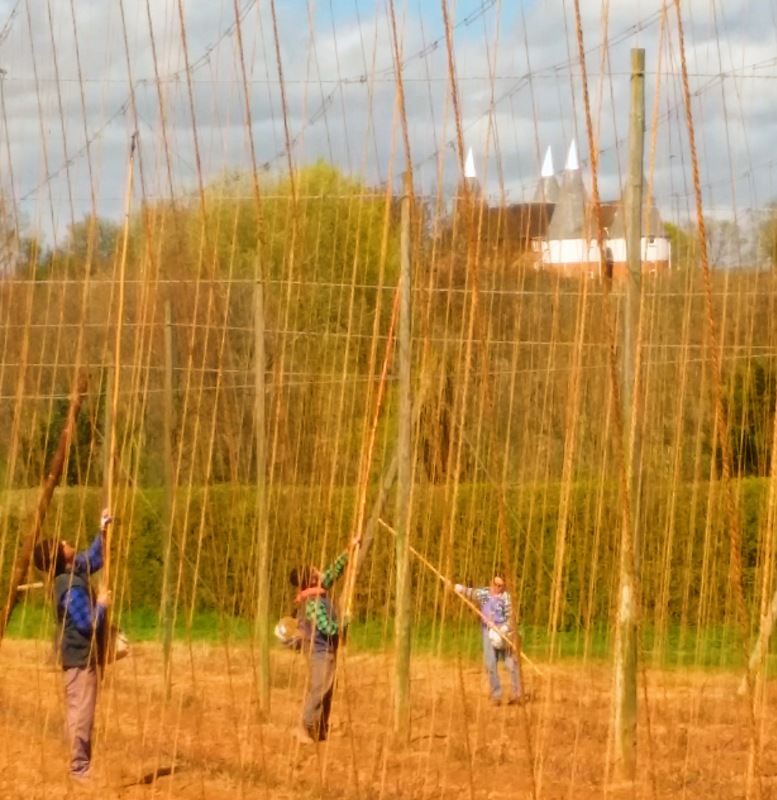 You can see the team using the aid of a long pole called a ‘monkey’ and is taken from the permanent ‘peg’ in the ground, up to the hooks on the top wirework; six meters off the ground. 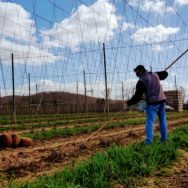 Various patterns of stringing have been devised to optimise yield and ease harvesting, depending on variety and region. 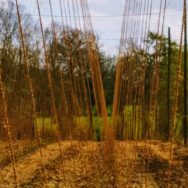 This entry was posted in Latest from the farm. Bookmark the permalink.